This card is signed by L.C. Mullen. The 1912 Westfield city directory lists a H.J. Mullen (manufacturer of whip buttons) living at 60 Day Ave. A check of the Westfield GIS system shows a house fitting this profile. 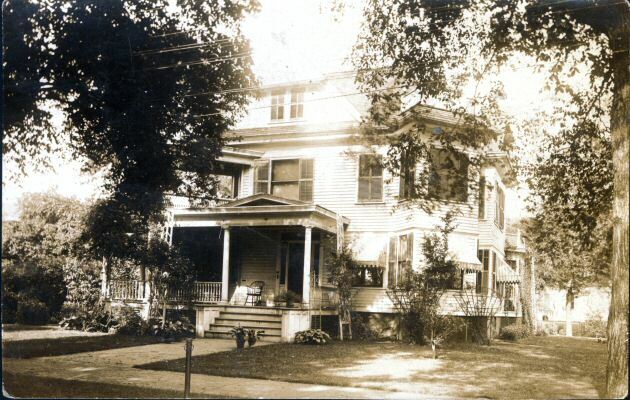 Note the porch on the left front that faces at a 45 degree angle from the rest of the house. Mrs. Arretta Smith North Chester Mass.